We appreciated the host generosity and welcoming attitude very much. The view is amazing from the balcony. The rooms are clean, and the beds are very comfortable. Very cozy home, with a nice kitchen, excellent for cooking small meals. Available clothes washing machine made our life easier. Very close to the beach about 40 stair steps down hill. I highly recommend you try this place. 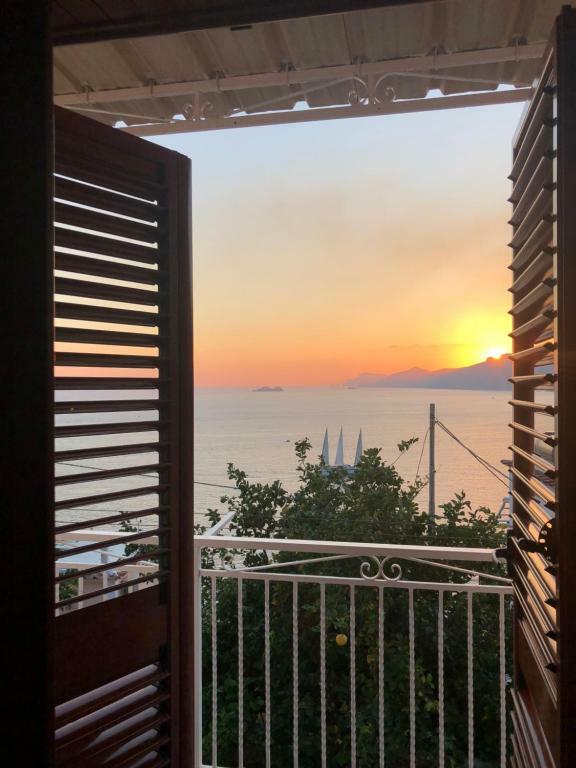 Everything about our stay here was top notch- from communication with Giovanna and her brother, through to the finishing touches in the apartment and wow, the view!!!! Great value for money too! I honestly don’t think it comes much better - sitting outside on the balcony overlooking Positano and Capri! The beach is right beneath the house (after many steps but totally manageable), the bus and town is right above, and there’s all you could want at the apartment if you just wanted to spend time there. Very much appreciate the local tips from our host. Her family is so lovely! We can’t wait to go back!! Our host was perfect We arrived late at night the first night when most of the restaurants were closed, she cooked for us the best carbonara ever and got us a bottle of wine 😀 All the compliments won’t do her justice, she’s absolutely great! Very accommodating, helpful and generous host! G and her family are amazing people. They carried our heavy luggages down to the appartement for us. Communication was perfect and check-in very easy. They made our vacation in the Amalfy coast a very unique and positive experience. 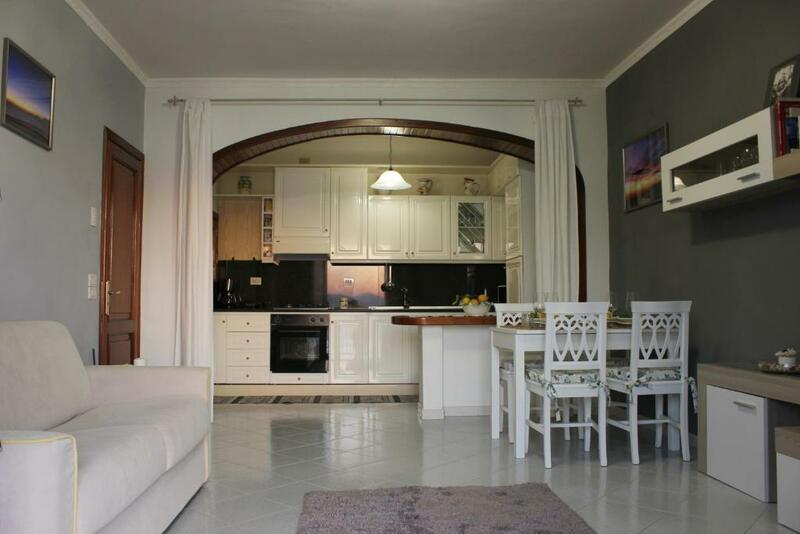 The appartement is decorated with great taste, was very comfortable and cleaned. 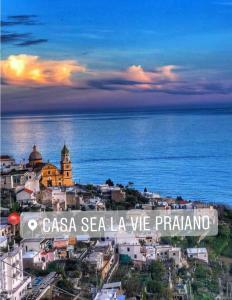 Every night we enjoyed the amazing view of all the coast and the Positano town from the terrase. Stunning spot and was beyond our expectations! The view is incredible. You don’t need much else but a glass of vino and the view. The view is amazing, the appartment is great and Giovanna and his brother were so nice with us! Jedinečné místo s neokoukatelným výhledem. Navíc láhev vychlazeného posecca při příjezdu jako pozornost hostitele. Lock in a great price for Casa Sea la Vie – rated 10 by recent guests! One of our best sellers in Praiano! Offering free WiFi and sea views, Casa Sea la Vie is a property located in Praiano. The air-conditioned property is 13 miles from Sorrento. 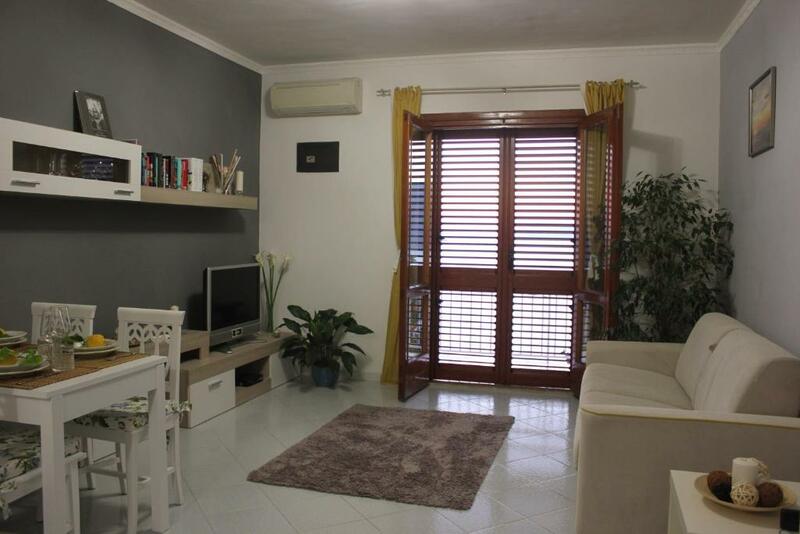 The apartment has 1 bedroom, a living room, a dining area and a well-appointed kitchen. The property also offers a bathroom with a bidet and a washing machine. 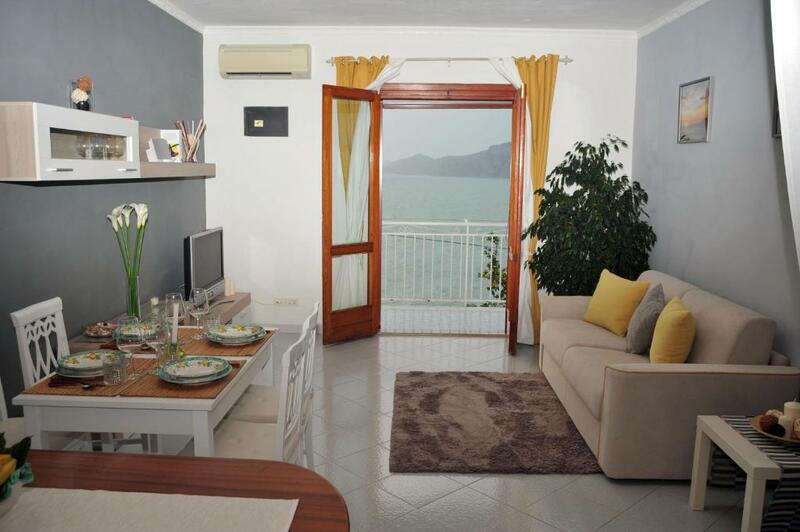 Salerno is 23 miles from Casa Sea la Vie. The nearest airport is Capodichino Airport, 41 miles from the property. 뀐 Located in the top-rated area in Praiano, this property has an excellent location score of 10.0! When would you like to stay at Casa Sea la Vie? This apartment has a balcony, dishwasher and seating area. What makes Casa sea la vie unique is definitely the position and the breathtaking view from the Terrace. 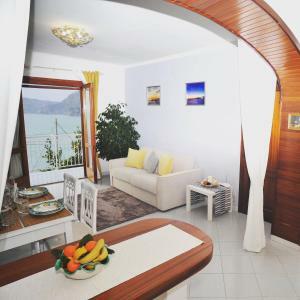 Overlooking the Sea and facing Positano, Li Galli Island and Capri rocks, this flat is perfectly located between Gavitella Beach and Praiano town. My family leaves nearby and love looking after our guests. We are at their disposal in order to make their stay perfect. Providing from additional toiletries to services which may be taxis or boats. We are locals and we definitely can recommends the best activities and the best services to explore this amaing territory. Hello nice to e-meet you! My name is Giovanna, I was born in Praiano and I am 26 years old. I graduated in languages in Italy and I moved to UK afterwards. I love travelling and discovering other cultures, this is one of the reason why I decided to run my home as a vacation rental! Due to mine and I am sure yours favourite activity (going around the world) I may not be there to welcome you on your arrival, but another member of my family will and rest assured they will do their best to make your stay as comfortable and pleasant as possible! Another activity I love, is to manage guests reservations, requests and enquiries so feel free to contact me any time for anything you might need. 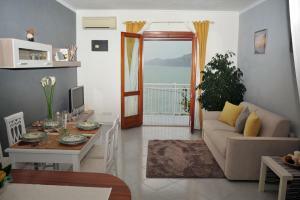 The flat is perfectly located between the beach and town where you will find local restaurants. If you follow the steps down you will go to the beach, if you go up you will be in town. The flat surroundings are other houses so the neighbour is very relaxed and quiet. You will not be bothered from cars noise or any other kind of noises. I hope you are already imaging yourself relaxing on Casa sea la vie terrace, sipping a glass of wine and admiring a beautiful sun setting over the sea! 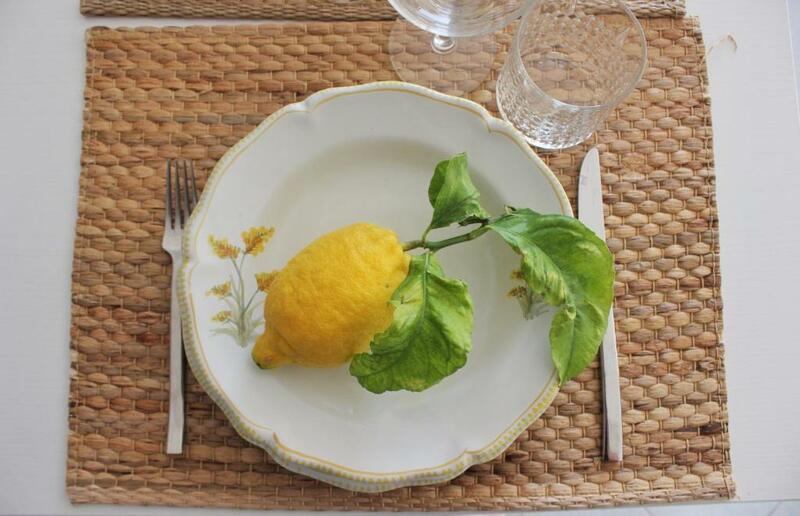 Enjoy this little hidden gem and your holiday in Praiano! House Rules Casa Sea la Vie takes special requests – add in the next step! Please inform Casa Sea la Vie of your expected arrival time in advance. You can use the Special Requests box when booking, or contact the property directly using the contact details in your confirmation. Too many stairs to get to the home, I recommend light carry on bags. However, the host thankfully helped us with the bags. I did not have the knowledge that there were so many steps down to the beach and to the apartment from the street.